All black running shoes offer a color scheme that’s designed to perfectly balance out your workout look. 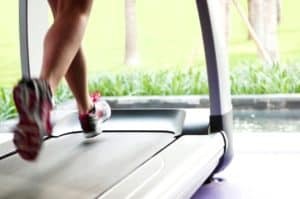 The workout apparel industry tends to set the trends in terms of the styles and colors of workout gear but their new, fluorescent and brightly colored shoes and clothing can be a bit too much for some fitness enthusiasts. Enter the all black running shoes, which add some stealth and simplicity to your style. Most manufacturers will carry a couple of models that are blacked out, so you’ll definitely have a large selection to choose from if you aren’t brand particular. Now that you’ve decided on the look you want to achieve, take the time to determine what features make a good running shoe great. Most women tend to go crazy with their workout wardrobe but stick to only one or two pairs of workout shoes. And basically, it’s because a good pair of running shoes will be pretty expensive, with a price that ranges from $60 to around $200. By choosing a pair of all black running shoes, you’ll have shoes that will match with any of your workout gear. Some of the top brands of running shoes include Adidas, Nike, Asics, and New Balance. When you’re out shopping for shoes, pay attention to the information provided on their display. Steer clear of shoes that are designed for other sports such as basketball or walking. A running shoe is much lighter than other types of sports shoes. 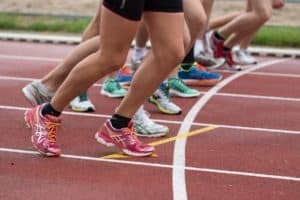 If you like to run in races, wearing the wrong type of shoe can definitely slow you down. 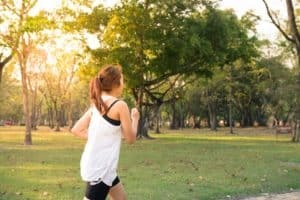 Additionally, wearing the wrong type of shoe to go running can also lead to a wide range of injuries. 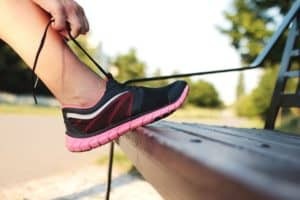 Other types of athletic shoes can be too heavy, which can throw your stride off. Shoes that are not running specific can also cause pressure sores, swelling, and blisters because the shoe’s design is not flexible, causing portions of the shoe to apply pressure to the wrong areas of the foot. Did you know that the type of running you do can require a special type of running shoe? How far you run, where you run, and how often you run are all factors that can determine which type of shoe is right for you. 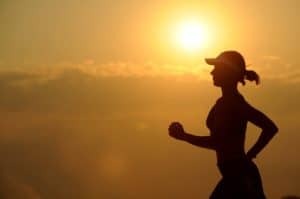 A person that runs around a track will need different shoes than a person training for a marathon. You should also take into account your body type. If you’re unsure which pair would benefit your type of running the most, speak with the staff at your local shoe store. They should be able to help you choose the best shoe for your running needs. Knowing how you run can determine where the foot first comes into contact with the ground, which will tell you what type of shoe you need. Does the inside of your forefoot land first? Or maybe your heel? 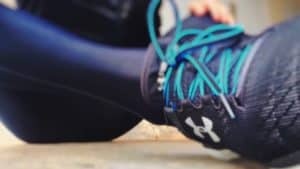 Most runners will make initial contact using their forefoot and if this is the case for you, then you’ll need a shoe that features added padding and protection in the heel. If you’re a runner that runs heel to toe than you’ll need to invest in a pair of shoes that are designed with extra padding in these areas. You can also purchase a pair of gel inserts for added comfort. 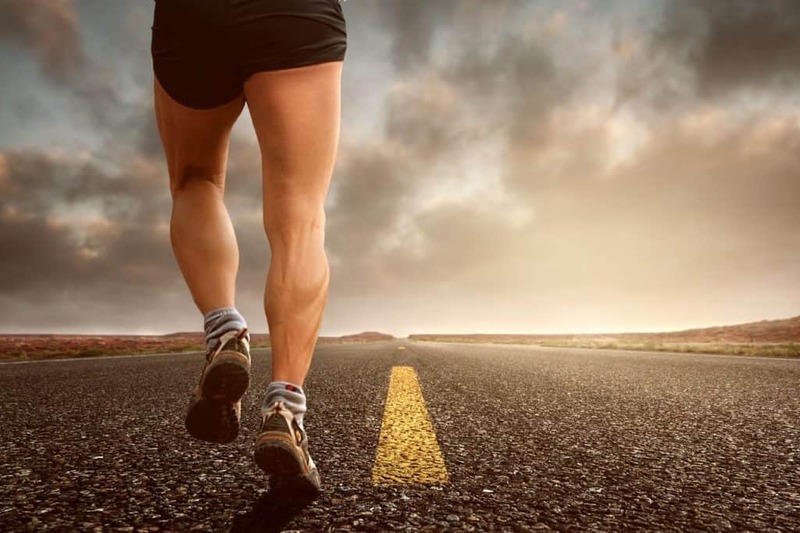 Wearing shoes that don’t support your type of running style can result in a number of injuries including blisters, shin splints, plantar fascistic and tendinitis. It can also worsen existing foot conditions and cause ingrown toenails or make you more vulnerable to ankle sprains. As a runner, nothing is more important than your shoes. Aside from durability, comfort, and quality, the shoes must also feature soles designed to absorb a significant amount of impact. For many fitness enthusiasts, you can’t get much better than Nike running shoes. These all black shoes are the ultimate in comfort and support. They’re also designed to stretch with your foot, so over time, you’ll enjoy a custom fit that’s incredibly supportive and flexible. The shoe’s soles are designed to absorb impact, which can help to prevent injuries such as damage to the joints or shin splints. Additionally, the height of the shoe provides adequate ankle support while encouraging a full range of motion. The shoe quickly conforms to the wearer’s foot for a custom fit. With a high rating for both durability and comfort, it comes as no surprise that these running shoes by Nike earned a five-star rating. Introducing another popular pair of running shoes by Nike, the Zoom All Out running shoes for women. These shoes are designed with suede soles, a cushion foam forefoot and a thin layer on top of the foot for a more responsive, supportive fit that ensures total comfort even during the most challenging run. Throughout the shoe, you’ll also notice mesh panels, which work to improve the shoe’s breathability. One of the biggest selling points for the Zoom All Out is the rubber outsole. This translucent outsole comes complete with waffle pistons that are designed to minimize the impact on the joints. The waffle design also provides better traction on a wide variety of surface types. The low design of the shoes makes it easier to take them on and off. Padded foam design provides ultimate comfort. Mesh panels improve breathability, keeping your feet cool and dry. Just one run in these lightweight, running shoes and you’ll fall totally in love. Supportive, comfortable, and best of all, breathable, these best-selling shoes from Nike will make you look forward to your next run. They also come equipped with an innovative design that will save your joints from plenty of wear and tear. We gave these shoes a rating of four and a half out of five stars.